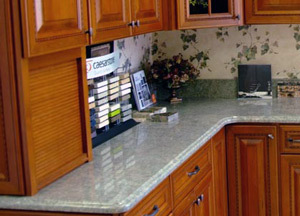 In business since 1987, Caeserstone has had a place in the natural quartz industry since the very beginning. In incorporating a mixing system known as the Brentonstone process, Caeserstone has been in the front of surface production and innovation markets. Thanks to these feats of visual and chemical excellence, Caeserstone slabs might be the answer for you as opposed to any marble, granite or other manufactured counter tops you may be looking into, which is why we proudly showcase and sell Caeserstone at ASA Cabinets. Known to many as the original quartz surface manufacturer, Caeserstone is headquartered in Southern California with offices spanning through Texas and all the way through Chicago. With a recently opened second factory which has doubled their total yearly capacity, Caeserstone is a force to be reckoned with in high-end counter top production. As long as Caeserstone has been in business, they have had the planet and its state in mind. In using sustainable practices in all areas of production, whether it’s recycling or purification, Caeserstone is proud of what they do in terms of making as little an impact on the planet as possible. Being ISO 14001: 2004 Compliant means being as environmentally conscious as possible with both our own facilities and actions, and their effects on the world around them, which is something that Caeserstone takes very seriously.